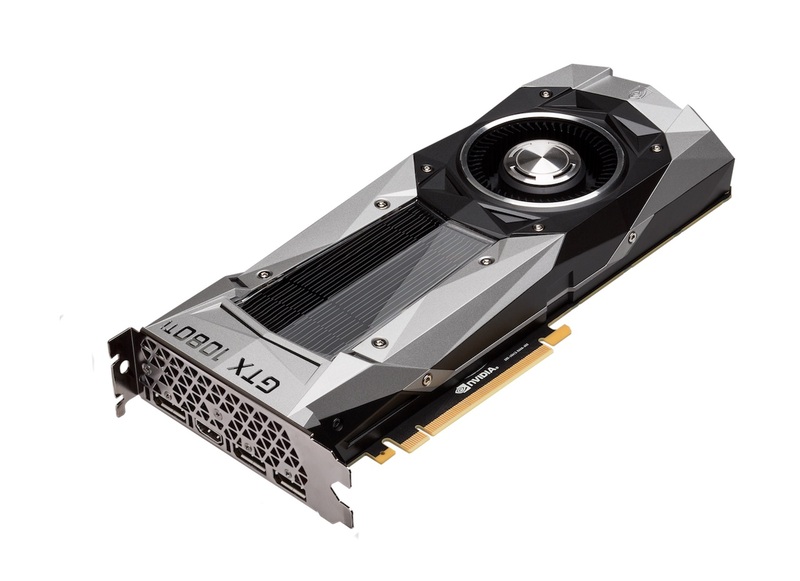 The Nvidia GeForce GTX 1080 Ti is the fastest desktop consumer graphics card (beginning 2017). It is based on the same GP107 chip as the Titan X but with slightly higher clock speeds and a different memory configuration. It offers one memory controller less (and 11 instead of 12 GB), but the GDDR5X memory is faster clocked (11 GHz) leading to a comparable memory bandwidth. Due to the higher boost clock, the 1080Ti should be around 5 % faster compared to the Pascal Titan X and about 35 % faster compared to the GTX 1080. The TDP is equal to the Titan X with 250 Watt. A new cooler of the Founders Edition should be more efficient and quieter.